Urban Odyssey: A Multicultural History of Washington, D.C.; edited by Francine Curro Cary. 1996. 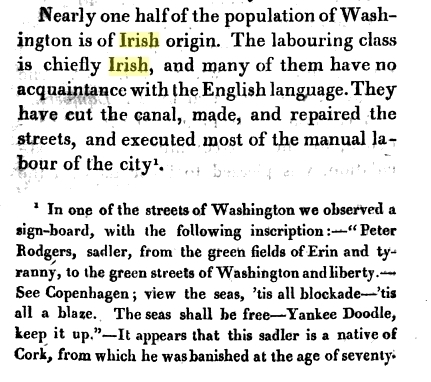 DCPL, HSW, LC Chapter 3: McAleer, Margaret H. “‘The Green Streets of Washington’: The Experience of Irish Mechanics in Antebellum Washington.” p. 42-64. Borger, Tom. 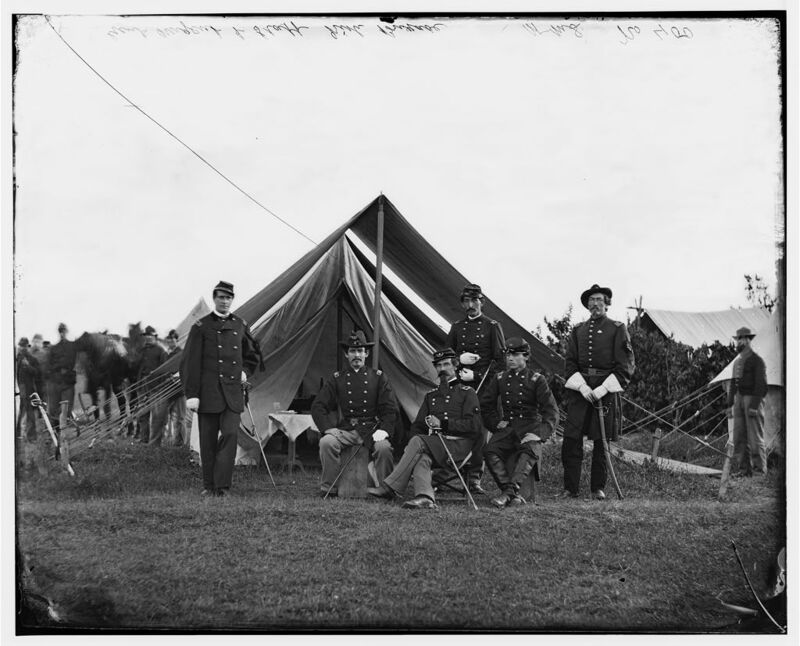 Irish roots in the Nation’s Capital: A family history 2005. Gatti, Lawrence. 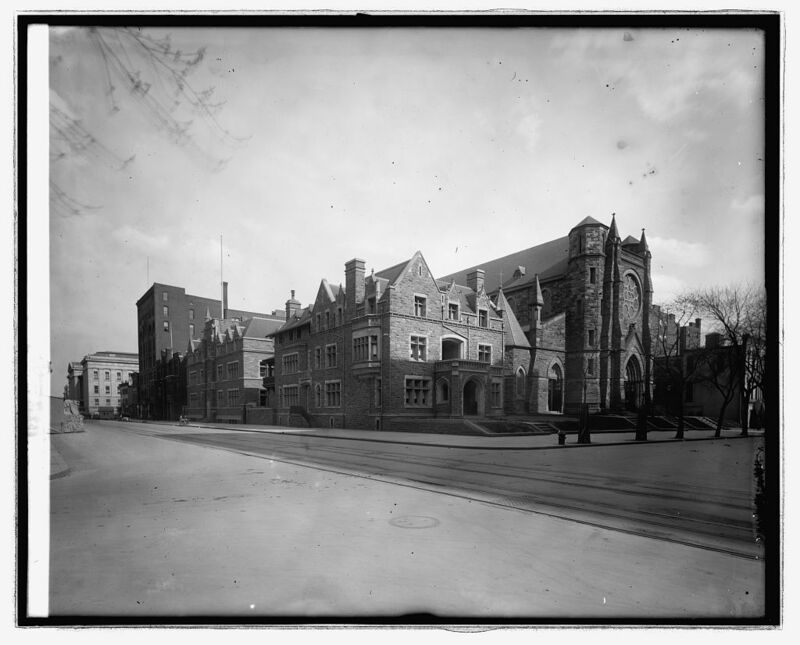 Historic St. Stephen’s: An Account of its Eighty-five Years, 1867-1952. Langley, Harold D. St. Stephen Martyr Church and the Community, 1867-1967. MacGregor, Morris. A Parish for the Federal City: St. Patrick’s in Washington, 1794-1994. 1994. Schultz, Nancy Lusignan. Mrs. Mattingly’s Miracle: The Prince, the Widow, and the Cure That Shocked Washington City. 2011. Sherwood, Suzanne Berry. Foggy Bottom 1800-1975. Smith, Kathryn Schneider. Port Town to Urban Neighborhood: The Georgetown Waterfront of Washington, D.C., 1880-1920. 1989. Warden, David Bailie. 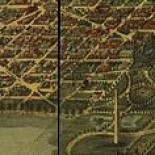 A Chorographical and Statistical Description of the District of Columbia. 1816. Diamond Jubilee of St. Aloysius’ Church, Washington, D.C. 1859-1934. _____. Gonzaga College, an historical sketch, from its foundation in 1821 to the solemn celebration of its first centenary in 1921. 1922. _____. Sketch from foundation in 1821 to 1896. 1897. Hinkel, John V. “St. 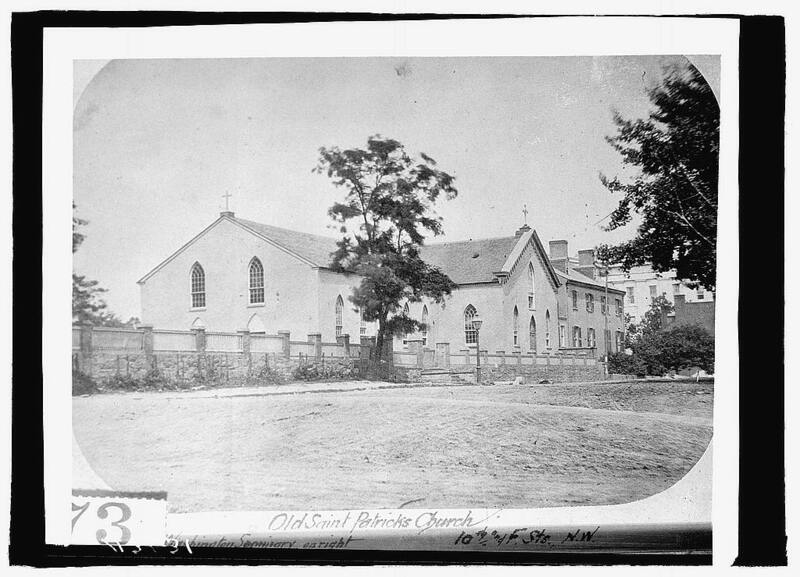 Patrick’s: Mother church of Washington.” Records of the Columbia Historical Society v.57-58. Kelly, Tom. “I knew my parents were Irish as soon as I knew anything.” Washingtonian March 1979: 144-150. Press, Emil A. “Reminiscences by Emil Press: Growing up in Swampoodle.” Records of the Columbia Historical Society v.73/74. Press, William H. “Reminiscences by William H. Press: Another view of Swampoodle.” Records of the Columbia Historical Society v.73/74. Note: Thanks to Chris Myers Asch for some suggested additional references. what documentation do you already have? I am not finding anything.